Sparks Ever After: Time To Giveaway Some Cold, Hard Cash! Time To Giveaway Some Cold, Hard Cash! Please excuse my absence from the blog yesterday. It will probably be like that for most of the week because I'm gearing up for a much needed mini-vacation this weekend. Vacations are great, but preparing for said vacation is such a hassle. 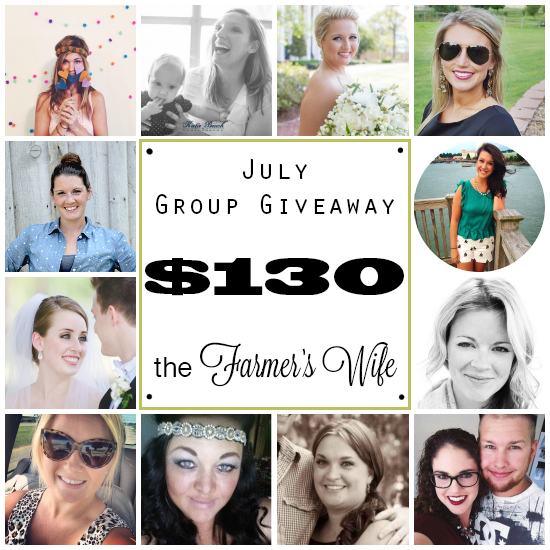 To apologize for my lack of presence around here this week, I've teamed up with a few amazing ladies to bring one lucky reader $130 in cold, hard cash. I can think of quite a few items I could purchase with that money! For your chance to win, enter via the rafflecopter below. Good luck! First of all, I LOVE the cake! Second of all, your husband's face!! Your photographer seriously caught the moment there!